Lamar Smith Signature Homes, a leading builder of quality new homes in coastal Georgia, is pleased to announce 1st Lt. Hank Brady, 3rd Combined Arms Battalion, 69th Armor Regiment, 3rd Infantry Division, has been selected to receive an Operation Hero House. This special community-wide project was created to honor the thousands of brave men and women military service members who willingly sacrificed their lives and the more than 30,000 wounded warriors left disabled due to combat actions during the War on Terror. “It is our deep desire to give back to those who have sacrificed so much on our behalf, and Lt. Hank Brady is a perfect example of selfless service,” said David Hagan, director of sales and marketing at Lamar Smith Signature Homes. “We are excited to break ground on the Hero House in September and are committed to building a quality home for this very deserving Wounded Warrior. 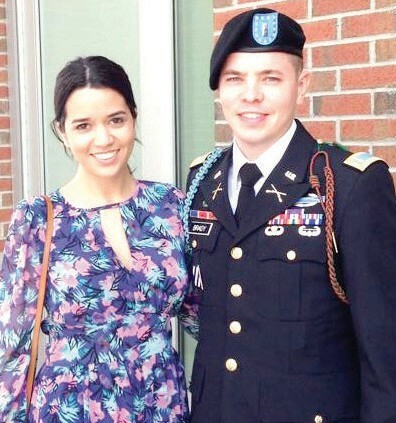 This home will be custom built to suit Lt. Brady’s special needs and will be given mortgage-free.” Brady, a Purple Heart recipient, and his wife, the former Maria Casseres, are newlyweds currently residing in Savannah, Ga. He was wounded during his deployment to Afghanistan in 2013 when a rocket-propelled grenade struck the back of his vehicle, only a few feet from where he was standing. Despite being told by physicians that his wounds would prevent him from being able to run, he completed a marathon less than four months after being removed from all splints. The Bradys’ new home will be built in the Teal Lake subdivision in Chatham County, off of Highway 17. The custom Lamar Smith home will be uniquely equipped to help Brady live more independently and have a greater chance at facing the difficulties and challenges ahead. Operation Hero House is made possible with the generosity of donations and services given from more than 135 independent vendors and businesses. A complete list of sponsors will be announced at a later date. In addition, individuals who purchase a home from Lamar Smith Signature Homes in 2014 will also directly contribute to the success of Operation Hero House. New home owners will be honored in the Hero’s Courtyard that will be included in the construction of the new home. They will also be invited to take part in the ground breaking, special work days to help build the new house and the official home unveiling. The groundbreaking of Operation Hero House will take place in September 2014, and the finished custom-built home will be presented to the specially selected Wounded Warrior in early 2015. For more information about Operation Hero House, please contact David Hagan, director of sales and marketing at Lamar Smith Signature Homes at 912.663.4775 or via email at dhagan@lamarsmithsignature.com.